There are over 3000 local jails in the United States that process approximately 12 million releases per year. With such a magnitude, focusing on offender reentry provides opportunity to influence public safety, but implementation of a successful reentry process for offenders is both multifaceted and complex. Individuals committed to jails have diverse risks and complex health and human service needs, and their length of incarceration in jail is brief when compared to prison. In addition, many inmates released from jails lack community connections to treatment and/or supervision organizations to address their reintegration issues. 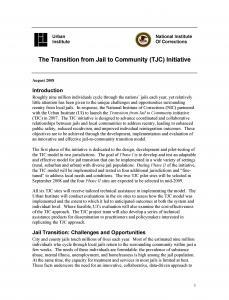 Designed to advance coordinated and collaborative relationships between jail and local community organizations, the National Institute of Corrections (NIC) launched the Transition from Jail to Community Initiative (TJC), in collaboration with the Urban Institute, to address reentry, reduce recidivism and enhance public safety. During the initial phase of the initiative, tools were developed for dissemination to the field. The first of those products was the TJC Implementation Toolkit. This web-based learning resource was designed to guide jurisdictions through the implementation of the TJC model. 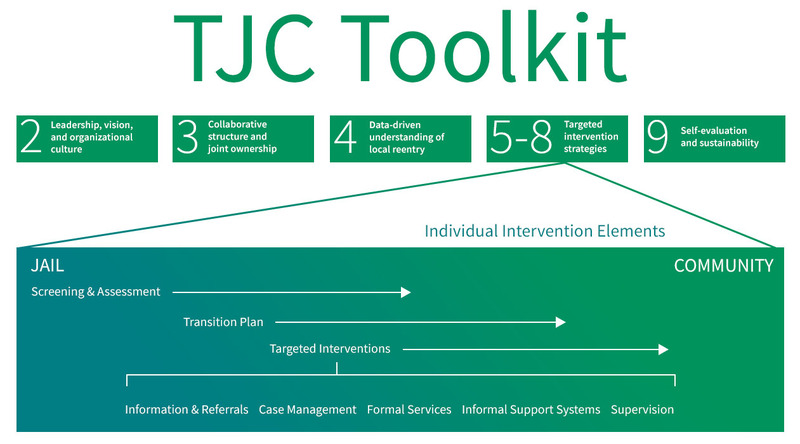 The TJC Toolkit is a hands-on resource for users interested in jail reentry, whether in a criminal justice or community-based organization – providing users the ability to navigate through the nine modules at their own pace. The modules incorporate examples from jurisdictions across the country, tools developed to facilitate implementation in the six Phase I learning sites, resource suggestions, and detailed content. Jurisdictions should develop and use an effective case management process that includes a strong community handoff component that ensures continuity of care between in-jail and community-based programs and services. Jails and their community partners should identify risk levels and criminogenic needs of returning populations while focusing their resources on individuals with the highest levels of both. These sites received 2.5 years of targeted technical assistance. San Diego County, CA, and Santa Barbara, CA, were added for implementation of the TJC model in an AB-109 environment. During a 30-month period, these jurisdictions received targeted technical assistance to support their development of a systems change process involving collaborative strategic planning, continuity of care, evidence-based practices, data-driven decision-making, and self-evaluation. In August 2017, the Urban Institute conducted a survey of Phase I & II learning sites – focusing on implementation of the TJC Model. 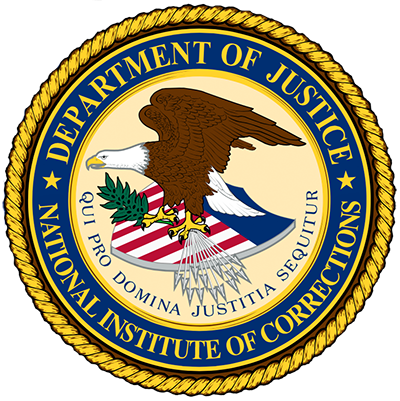 Findings indicated the respondents’ appreciation of the targeted technical assistance that they received, crediting the process for helping their communities establish or expand evidence-based practices and interventions; enhance foundational capacity to monitor and measure system performance; reduce recidivism; and build and sustain collaborations between their jails, other criminal justice agencies, and reentry stakeholders. The Implementation Progress Tool (IPT) was developed to identify and evaluate measurable progression through the TJC process.